Also, Schuler Books (at least at Eastwood Towne Center, I don't know about Okemos) is taking donations right now for the ACLU and ABFFE. Now through the end of the week, if you tell your friendly Schuler Books cashier that you would like to make your purchase as a donation to the ACLU, they will donate 20% of your purchase amount. But you have to tell them! This is a very important step. No telling, no donating. That's just the way it is. So, tell them! Also, if you want to make a donation to the ABFFE, simply tell your friendly Schuler Books cashier how much you would like to make that donation for, and they will gladly tender that amount with your purchase. This is all happening through the end of this week, so hurry in to your local Schuler Books (and by local, I mean the one at Eastwood Towne Center) and buy some books and make a donation! I mean, honestly, who doesn't like books? And donating to a good cause just makes you all warm and fuzzy inside. Well, books do too, so it's really like a win-win situation here, folks! Banned Books Week 2009 - Read-A-Thon at Schuler Books Tonight! There is going to be a Read-A-Thon hosted at Schuler Books at Eastwood Towne Center in Lansing, MI tonight, Wednesday, September 30, 2009, from 7-8:30pm. "In honor of Banned Books Week, we’ll be holding a Read-A-Thon of frequently challenged books, and books that have been challenged in the state of Michigan over the past year. 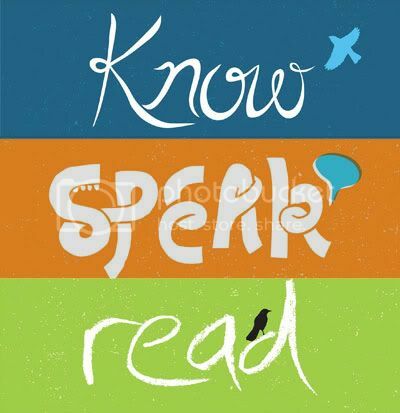 Demonstrate your right to read by joining us! We’ll be accepting donations for ABFFE, the American Booksellers Foundation for Free Expression." If you're in the area, stop on by to uphold that First Amendment! 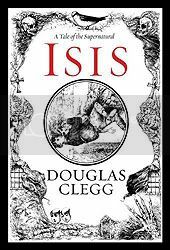 Just a reminder, Douglas Clegg's Isis is being released today. You can read my review of the book here. It's Banned Books Week. Don't forget to uphold that First Amendment!! 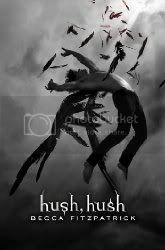 I honestly wasn't sure what to expect when I received Hush, Hush. It's not a bad book, not by far, and it caught my interest enough to finish it in two days, but this is definitely a book geared more toward the Twilight series type of fan. This isn't meant as a slight to either Hush, Hush, Twilight or it's fan-base, it's just at the end of the book, I don't feel that I was that vested in any future developments with these characters (there is a sequel in the works, titled Crescendo). Nora Grey is your typical, hardworking high school student who doesn't feel she has time for boys with her busy schedule. That is, until she meets the new, mysterious transfer, Patch. Patch is everything that Nora thinks should be dangerous in a boy: he's handsome, slightly cocky, very mysterious and knows exactly how to get under her skin. As they are forced to get to know one another through a Biology project, Nora begins to suspect that there may be something more to Patch that he's not letting on, something that may or may not be supernatural (if you look at the cover, it's the biggest clue to this part of the story). Nora ends up finding herself in danger and Patch comes to the rescue and saves her, cementing her love for him. I felt that the back and forth, will they or won't they kiss that went on for the first 2/3 of the book was a little tedious after awhile. I know it's there to build the every rising sexual tension between the two characters, but honestly, after awhile I just wanted to scream, "Just get it over with already! You know you want to kiss him, just do it!" The end of the book had a decent enough twist to it, even though I more less had it worked out what was going on, I didn't have all the pieces in place. Like I said, this isn't a bad book, far from it; it's very well written and fast paced and for the most part, the characters are believable. I just think you need to be a fan of this particular genre of book, and I'm just not that fan. To those that are, though, I can honestly say I think I'd recommend this book to you. 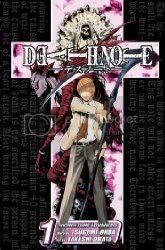 Light Yagami, ace student and top of national charts with his test scores, is bored with everything, but that changes one day when he discovers the Death Note of the shinigami (death god) Ryuk, who is equally bored with his existence and dropped his Death Note on purpose in the human world, just to entertain himself. When Light discovers the purpose of the Death Note, that by writing a person's name, the way they die and the time that they will die in the Death Note and that person will die in that manner, he decides to take it upon himself to rid the world of its criminals and force the world to be a better place. However, he quickly becomes deluded into thinking that he will be able to rule the world as Kira, the Savior; that he will be able to exact judgment on whomever he feels is unworthy of living. Obviously, the world's police forces take notice of the growing number of deaths of the criminals, both imprisoned and free, and decide that Kira needs to be held responsible for the deaths of so many, even if they are criminals. The mysterious super-sleuth L, who has never shown his face to anyone, decides that he need to team up with the police to help them track down this killer. A fast-paced game of cat and mouse ensues as Kira and L try to discover more about each other, as neither have shown their faces, while Ryuk sits on the sidelines, enjoying his entertainment. 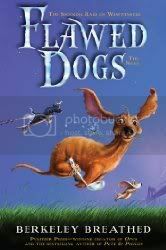 I find the story intriguing and the plot is original. This first installment moves along rather quickly, setting up the key characters and plot points, but given that the series is 13 volumes long, there will still be plenty of story to be told, so I don't feel that it was rushed for no reason; I think Tsugumi Ohba simply didn't want to waste a lot of time introducing the main characters. This is my first real experience with Manga in general, so for all I know all series are started like this. The art is fresh and crisp, and it is not hard to follow at all, even with the story running backwards to Western eyes (the story reads from right to left). Printed entirely in black and white line art with some shading, Takeshi Obata's style lends itself perfectly to the pacing of the story. I'd be interested to see some more of his work sometime. An intriguing and unique story told in a nice, clean presentation, I'm really interested to see where the story of Death Note goes from here. 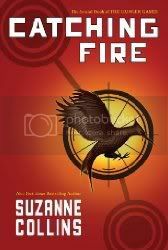 Catching Fire, the Second Book of the Hunger Games takes every element from the first book and ups it all several notches. Katniss finds herself at the mercy of President Snow, torn between Gale and Peeta and ultimately placed into a situation she never thought she'd find herself in. I can honestly say that Collins has upped her writing ability with Catching Fire as well. There were a few scenes in The Hunger Games that I felt were a little awkward, but she seems to have overcome these flaws (few and far between that they were) and has written a very slick and streamlined story. Her characters are naturally growing with their story, and the story is moving along at a quick but not rushed pace. I'd love to go into more detail with the book, but this book is all about the shock and surprise. I can say that if you enjoyed The Hunger Games, you certainly won't be disappointed in Catching Fire. 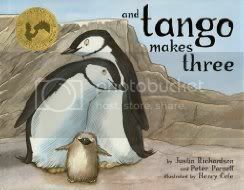 The third book cannot be released quick enough! The 2009 Man Booker Prize Shortlist has been announced. As usual, there isn't a single book on the list that I've even heard of. I can hardly believe that in the entire month of August, I only read one book. Granted, it was a very good book, but really, just one book? Something needs to change! Arthur's chances of getting his hands on a decent cuppa have evaporated rapidly, along with all the world's oceans. For no sooner has he touched down on the planet Earth than he finds out that it is about to be blown up . . . again. And Another Thing... is the rather unexpected, but very welcome, sixth installment of The Hitchhiker's Guide to the Galaxy series. It features a pantheon of unemployed gods, everyone's favorite renegade Galactic President, a lovestruck green alien, an irritating computer, and at least one very large slab of cheese. " And Another Thing... will be released on October 12, 2009 from Hyperion. Friend and fellow blogger Irish will be celebrating her birthday this month, and in keeping, she's giving us a present. Just stop by her blog to enter into a contest to win a $32 Amazon gift certificate. Stop by her blog. She's always reading something fun! And don't forget to wish her a Happy Birthday!! !